In the entrance hall of the African Union (AU) headquarters in Addis Ababa, a huge portrait of King Mohammed VI of Morocco was strategically placed to greet delegates attending the AU summit in January. Photographs illustrating Morocco’s contribution to peacekeeping in Africa, dating back to the 1960s, as well as its numerous humanitarian missions on the continent, completed the exhibition. This kind of display by a member state is unusual for the AU, which prides itself on its equal treatment of all 55 member states. Clearly Morocco is taking advantage of its January 2017 return to the AU to make its mark, despite resistance from the traditional allies of the Sahrawi Arab Democratic Republic (SADR), South Africa and Algeria. During the election of the Peace and Security Council (PSC) by ministers of foreign affairs on 26 January, Morocco also entered the 15-member PSC with no other country contesting. North Africa has two seats on the PSC, and Egypt currently occupies the three-year seat until January 2019. Algeria, which has served for several consecutive terms, withdrew its candidature for the seat at the last minute. This avoided a head-on confrontation with Morocco, which had in its favour the fact that it had never served on the PSC. Algerians also argue that their country will be a candidate for the three-year seat when it becomes available at the beginning of next year. It wasn’t only Algeria that compromised. Indications are that Morocco has for now abandoned its earlier strategy to get the SADR expelled from the AU. Because the AU Constitutive Act doesn’t provide for a member to be expelled, Morocco and its allies would first have to get a two-thirds majority to change the act. This is unlikely in the short term. Even countries that sided with Morocco to return to the AU seem opposed to such a move. The voting for Morocco to join the PSC should also be a warning to the country in this regard. Most other PSC nominees this year entered with unanimous support, but 16 countries abstained during the vote for Morocco. This figure corresponds more or less with the one-third of member states that opposed Morocco’s joining the AU because of its claim over the Western Sahara. Morocco still has enemies inside the AU. Now that Morocco is a member, it could change dynamics inside the PSC. Both Algeria and South Africa will be absent, at least for the next year. South Africa gave up its seat in January, with Zimbabwe and Angola now occupying the two two-year seats reserved for Southern Africa. Zambia still serves until January next year. Diplomats have indicated that Morocco’s strategy in the PSC is to limit discussions over Western Sahara to merely supporting the United Nations (UN) process. Due to the AU’s strong historical resistance to its stance, Morocco would rather rely on its allies France and the United States in the UN Security Council than have the AU special envoy Joaquim Chissano try to force it into a corner. Morocco is also expected to resist any mention in AU documents of the ‘legitimate struggle for independence by the Sahrawi people’, as has been the case for the past four decades in the AU and its predecessor, the Organisation of African Unity. Still, at the January AU summit, there seemed to be less acrimony around this issue than was the case in July 2017 when closed meetings dragged on endlessly as Morocco wrangled over the wording of statements and resolutions. This could be a sign of greater compromise on the part of Morocco. 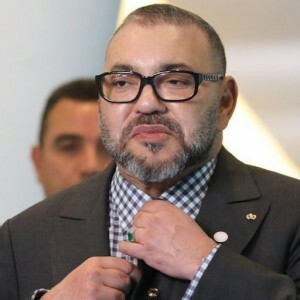 Since the beginning of the year, there has also been no repetition of Morocco’s much-criticised boycotts and disruption of international forums where the SADR have been invited to attend. Morocco disrupted several 2017 AU meetings in this way. In November 2017, King Mohammed VI agreed to attend the European Union-AU summit in Abidjan, despite the presence of the SADR head of state, indicating the possibility of a more flexible attitude by Morocco. For now, AU member states are accepting the fait accompli of Morocco’s re-entry and are ready to take advantage of its relative soft power and financial strength in an organisation in dire need of both. According to World Bank and International Monetary Fund statistics, Morocco is the fifth biggest economy on the continent – neck-on-neck with Angola – after Egypt, Nigeria, South Africa and Algeria. The AU Commission therefore hopes that Morocco can join the five biggest contributors to the AU budget, currently South Africa, Egypt, Nigeria, Algeria and Angola. Morocco already benefits from its soft power in West Africa, especially when it comes to its cultural and religious links with Francophone West Africa. Can Morocco's new role in the PSC be a catalyst for change on the Western Sahara issue? Can Morocco’s new role in the PSC and its eagerness to contribute to the AU be a catalyst for change when it comes to settling the Western Sahara issue? In the past few weeks former German president Horst Köhler has stepped up his attempts to get the two parties, Morocco and the Polisario Front, which represents the SADR, together for talks. This has not yet happened and the mediation attempt could once again break down, as so often in the past. The AU and AU Commission chairperson Moussa Faki Mahamat, who recently met Köhler, can insist on more AU involvement in solving this crisis between AU member states. After all, Morocco is not alone on the PSC and other countries could call for the Western Sahara to be placed on the council’s agenda. Expect a power play from those member states that support Morocco’s occupation of the Western Sahara and those that see it as ‘the last colonial struggle’. For more on the implications of Morocco’s return to the AU, see the new ISS report: The meaning of Morocco’s return to the African Union.